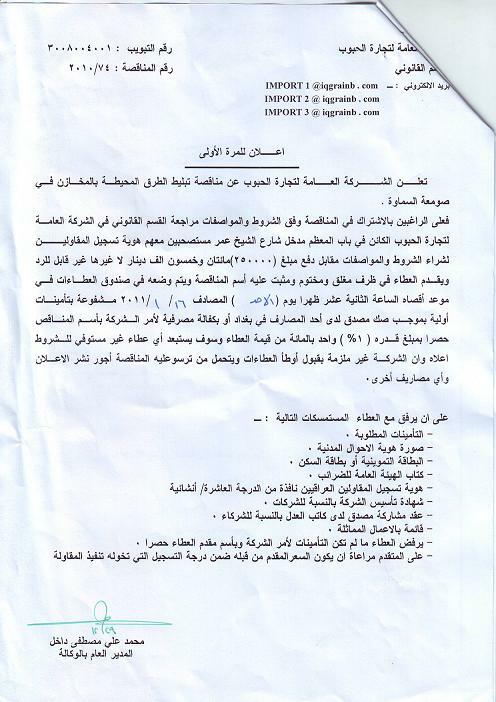 Iraq’s Ministry of Trade has issued a tender for the paving of roads in the vacinity of Samawah silo. Deadline for receipt of bids is 17th January. Please click here to download details (Arabic).